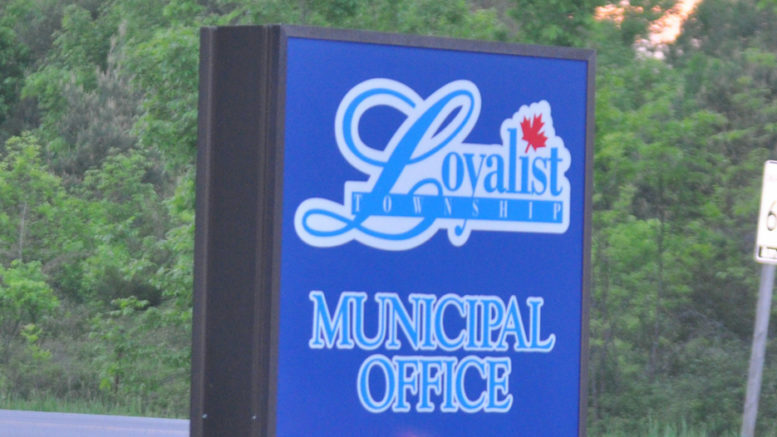 An Amherst Island woman has advised Loyalist Township she is seeking an external review of the way its council conducts closed session business. In a letter dated to council Aug. 22, Deborah Barrett indicated she was filing an official complaint pursuant to Section 239.1 of Ontario’s Municipal Act. Barrett wrote that she’d requested an external investigator review whether council complied with the Municipal Act in providing the public “the general nature of the matter to be considered” at closed meetings from January to August of this year; whether council made decisions regarding sale or acquisition of property in those sessions; whether adequate advance notice of the matters discussed was provided; and whether council reported appropriate information regarding its deliberations behind closed doors. On Monday evening, she appeared before council to address her request. Barrett spoke about best practices recommended by Ontario’s Office of the Ombudsman and by Amberley Gavel Ltd. a company that reviewed some of the township’s closed session meetings in 2012. The advice, she said, urged council to give as much information as it could about the subject matter in advance without undermining the sensitive nature of the material to be discussed. Then, after the public session, it should report publicly again giving as much detail as possible. “I believe council failed to follow best practices and this advice a number of times in recent years,” Bennett said. She noted her primary interest was in discussions related to the Windlectric industrial wind project on Amherst Island. Barrett asked the status of a committee to be appointed to make recommendations of a community vibrancy fund related to the project as well as details related to arbitration hearings. “What items were addressed? What is the outcome? The public record is silenced,” she said. Agendas on May 14 and Aug. 13 said council would go into closed session for updates on Windlectric, but no details were reported in public session, Barrett said. Further, she added that no minutes were available for a July 5 meeting that was spent entirely in camera. Barrett also noted that after Amherst Island councillor Duncan Ashley was publicly sanctioned earlier this year and removed from council committees, he’s since appeared at the committee of adjustment table. She could surmise council must have been satisfied and the actions it took because there hasn’t been a public announcement of any changes to the sanctions. Barret encouraged council to improve transparency. Barrett told councillors she had a productive meeting with interim chief administrative officer Steven Silver and clerk Debbie Chapman last week where they highlighted staff’s efforts to effect change and guide compliance. She encouraged council to seek their guidance on an ongoing basis. Mayor Bill Lowry said council does abide by the Municipal Act and noted it recently reworked its procedural bylaw and continues to strive for greater transparency. Council received Barrett’s deputation as well as a report from staff on closed session meetings and minutes from 2017 and 2018. The municipality is authorized under the Act to appoint the investigator who will consider the complaint.